Of course the conversation ceased when the man walked down Voortrekker Weg. 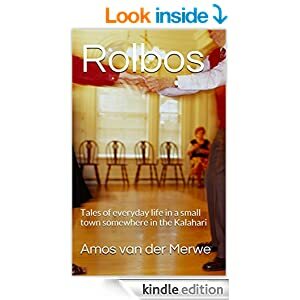 Not only is it unusual for Rolbos to be the final destination of any traveller, there was something else: it felt as if the man brought with him an atmosphere of ‘assured silence’ – as Gertruida tried to explain it later. Barefoot, dressed in his sheepskin coat and carrying his stick, he reminded Oudoom of an Old Testament prophet…or at least somebody with a story to tell. Boggel got on his crate to stare at the man: tall, handsome in a rugged way; with finely chiselled African features. The liquid-chocolate eyes blinked once when he entered Boggel’s Place before he smiled uncertainly in greeting. Gertruida noticed the gap between the upper teeth – and the missing four lower incisors – and whispered to Precilla sitting next to her. “A Himba?” Although she said it as a question, she was fairly sure she’s right. “Tjike…” The man lowered his eyes when he noticed the people in the bar. Realising that it was his way of saying hello, Gertruida twisted her tongue around the word in return. It was a day like any other. The sun beat down on the little kraal where the women sat in front of the huts, watching the smaller children play in the dust. The men and older boys were out in the veld, keeping watch over the flock of goats and cattle. The drought caused them to roam wider into their ancestral territory, looking for patches of withered grass in the mountainous region. And water, of course. Always water. Late at night, around their fires, they told each other that something very bad must have happened; why else would the drought be so severe? The earth was unhappy: they knew the clouds would not release the rain when new growth would only serve to feed evil. They knew about the war, of course. Only the previous week they heard the crump of distant explosions. They didn’t know the sound, didn’t recognise the crackle of automatic weapons – but they did understand that people were killing each other. They had speculated about that. Why would men find it necessary to kill each other? Was Life not something to protect and preserve? All life – even that of the goats – had a purpose. Killing an animal to feed the hungry mouths in the kraal had a purpose. Killing a man…? And they had a long conversation around the fire, eventually agreeing that whatever reason the men had for such killing, must be wrong. That’s why, the old men said, the rain stayed away. On that day the women sat in the sun, grinding ochre and hoping their husbands and sons would find a protected valley with grass and fresh water. Without their cattle and goats, they’d never survive. In the meantime, the best thing to do was to see to it that there were enough ochre and fat – when the men returned, they wanted to look their best. It was one of the little boys who saw the three men running towards the kraal. The First Wife, Miriam, glanced over to see what the boy was shouting about. When her husband was away, all authority and responsibility rested on her shoulders. At first she hoped the men would go past the kraal, leaving them in peace – but soon realised that was not to be. The men carried guns and that meant they have to be soldiers. They rushed through the kraal’s entrance without asking permission, brushing aside the two little boys who gaped at them. By now the entire population of Rolbos has gathered in the bar, listening to the Himba telling his tale. He sips his bottled water as he watches their faces – allowing the pause to create images in the minds of his audience. Telling a story – especially one as important as this – is an art. Rushing to the end won’t do. On the other hand, if the tempo is too slow, the listener loses interest. As a veteran of many a camp fire, the Himba understands the fine balance needed between telling, pausing, and feeding his audience just enough to keep them hungry for more. He knows every listener needs to become an observer of the unfolding scenes, making them see the story rather than simply listening to it. In this way, the observer becomes a participant – for is it not so that every story has the power to change people? “And then…?” Vetfaan asks, his beer forgotten on the counter in front of him. 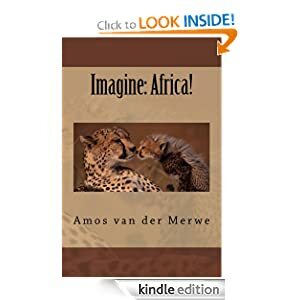 This entry was posted in short stories, smalltown short stories, Uncategorized and tagged border war, culture, equestrian unit, fear, Himba, honour, postaday, tradition, WPLongform on September 16, 2013 by Amos van der Merwe. Culture may be defined as the co-existence of different entities in the same space. The entities may be human. The space may be a room or the world. The word says: we belong together, we share values and dreams. Of course that means we sometimes argue. You get talkers and listeners, although some prefer to shout. Introverts avoid conflict and will take time out away from the maddening crowd – to think, to work things out…even to doze off. While extroverts love showing off and playing King of the Mountain. Even when we’re hurt or lonely, there’s no denying the fact that we’re all one big family. This entry was posted in Photography and tagged culture, lion. postaday, weekly photo challenge on April 27, 2013 by Amos van der Merwe. Can we now stop apologising for the past? Please? “Well, I’m through. I’m not saying sorry any more. I voted for change. I stood in those long queues in 1994 and celebrated with the rest of the country. I saluted Madiba for what he stood for. And by drawing my cross on that ballot paper, I prayed for peace and stability.” Servaas has to stop speaking to get his emotions under control. “And what did we get? Look at our country, man…it’s burning! The racial divide is growing by the day because the government is fanning those flames. If our ministers tell overseas audiences the Afrikaners are bad people, I refuse to respect them any more. 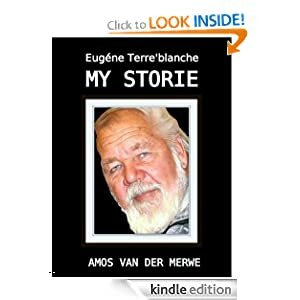 I’m angry and hurt, man, humiliated.” By now, he can’t hide it any more – the tears well up and Vetfaan has to offer him a hanky. “You know what, gentlemen?” Gertruida sits back with a secretive smile. “You mustn’t make the same mistake as the government. They want all Blacks to be united. But…there are more and more voices – some small, some not – calling out in the dark. Many, many people are starting to feel the way Servaas does. Poor people in shanties. Unemployed masses. Middle-class white-collar managers. Mineworkers. Farmworkers.The petrol attendant at the filling station. The waitress at Wimpy. They don’t want to drown in the toxic waste of the past; they want to make sure their children get a proper education, live in proper houses and enjoy a more prosperous future. They want functional municipalities, service delivery, effective policing and honest administration. These are the voters who must make up their minds about who they’ll vote for in 2014. And even the mighty ANC can’t fool all the people all the time, either. Servaas leaves quietly. In his cottage, he rummages through the old records until he finds the one he’s looking for. Tonight the rest can bury the past, but he needs to return to an earlier age, a happier time. A time when he could still believe in a bright future where he and Siena would grow old together. “Siena, I need you now,” he whispers as he places the needle gently on the old vinyl record. “The future, Siena, has become a memory. Like you, it isn’t here any more. 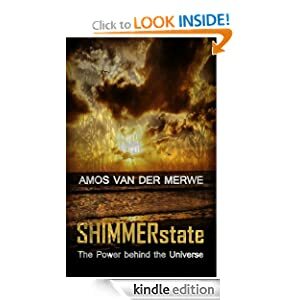 This entry was posted in smalltown short stories and tagged Afrikaner, ANC, Apartheid, corruption, culture, future, past, politics, race on February 28, 2013 by Amos van der Merwe. The President: ‘Pets are too White’. “Zuma did it again.” Gertruida issues the flat statement with an air of despondency. “What are you going on about, Gertruida? You don’t make sense…” The question marks in Servaas’ eyes are all too plain to see. “But that has been the purpose of other governments in the past, as well. I mean: to ‘educate’ the population to think correctly. Go look at the history of Europe, you’ll find it there.” Sammie doesn’t like politics or discussing it. He says Jews have suffered enough – he wants to be left in peace, that’s why he set up shop in Rolbos. Of course, she doesn’t have to explain any further. If you’ve lived in South Africa long enough, the antics of politicians can’t surprise you any more. And we don’t laugh about it anymore, as well. 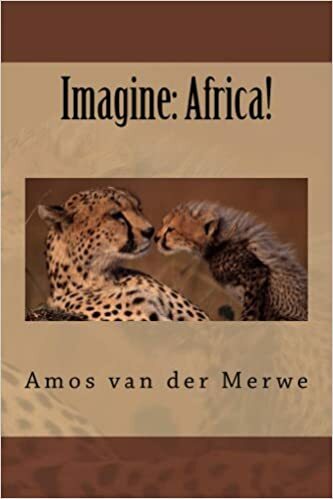 This entry was posted in smalltown short stories and tagged culture, DPchallange, facial cream, fashion, heritage, pets, politics, postaday, zuma on December 29, 2012 by Amos van der Merwe.